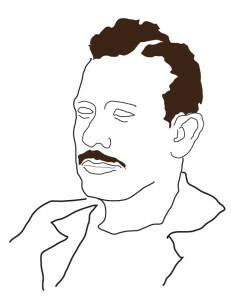 In 1925, during the sixth and final year of John Steinbeck’s time as a Stanford student, the soon-to-be famous author moved off campus to a one-room shack behind a larger house in Palo Alto. The room was seven square feet and Steinbeck loved it. “Steinbeck called the shack ‘the Den of Pegasus’ after the mythological flying horse because it symbolized [his and his writer friends’] soaring ambitions,” said Art Ring, a former Steinbeck Collector’s Club member. An avid Steinbeck enthusiast, Ring used to lead tours across the Stanford campus that detailed Steinbeck’s life at the University. Steinbeck had a colorful career at Stanford. In the six years that he was enrolled at the University, starting in 1919, he only accumulated 93 units — becoming equivalent in status to a junior. Steinbeck had no intention of graduating, according to Ring. Instead, the future Pulitzer- and Nobel-prize winning author took a collection of courses that he thought would help him hone his craft as a writer. His grades were far from stellar, and he often withdrew from classes before the final if he found them uninteresting. Despite his varied college career, he did meet two English professors who he came to respect greatly. Margery Bailey ’14 M.A. ’16 and Edith Mirrielees ’07 would have a formative impact on Steinbeck’s writing. Mirrielees taught a class on the short story, a form of literature in which Steinbeck would become a heralded voice. “In terms of his actual education and what he got out of it…at first he probably didn’t get much,” Hearle said. “But he eventually found a group of fairly like-minded guys who were interested in writing and who knew that they wanted to be writers. “Some of his best friends over the years — people he kept in touch with his entire life — were Stanford guys,” he added. One such man was Carlton Sheffield ’23 M.A. ’30, affectionately known to Steinbeck as Dook. Dook would become Steinbeck’s lifelong companion until the latter’s death in 1968. Along with filling the role of best man at Steinbeck’s wedding to first wife Carol Henning, Dook also once saved Steinbeck’s life during a camping trip. Another was Ed Ricketts, a man who would later be immortalized as “Doc” in Cannery Row. Rickets and Steinbeck later wrote “The Log from the Sea of Cortez,” a description of their trip to the Gulf of California. Steinbeck met Ricketts at the Hopkins Marine Station, Stanford’s marine laboratory, during a summer session. According to Hearle, Steinbeck’s time at the station in Pacific Grove was pivotal to his work as an author and granted him as awareness of biological and ecological systems. 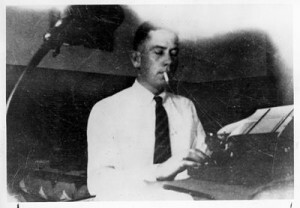 In 1925, Steinbeck left Stanford to pursue a writing career in New York with neither a diploma nor an intent to return. Although he remained close to several teachers and friends he had met in Pacific Grove and Palo Alto, he did not keep up a relationship with the University. The Groves of Academe, however, had housed him well in some regards. In a 1962 letter to Mirrielees, he wrote about her influence on his writing.